Congratulations to Tom Brennan and Rio Bandit, regular/green conformation reserve champions at the Gulf Sunshine Classic V. Photo credit to Mollie Bailey, taken from The Chronicle of the Horse. 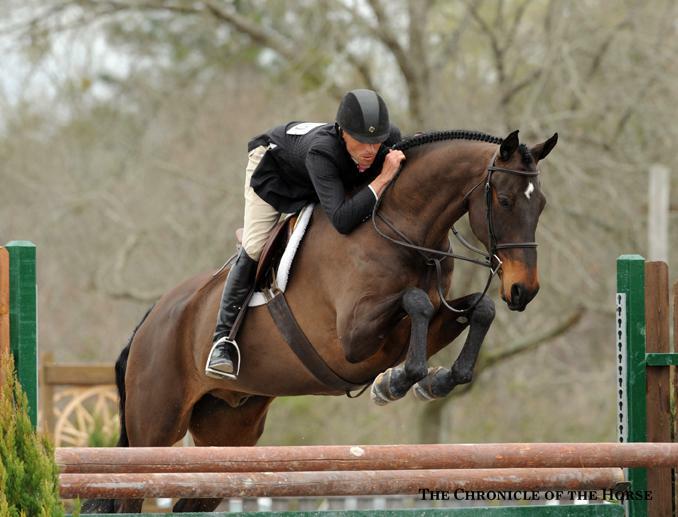 Last week, a picture of Tom Brennan and Rio Bandit was posted on the Facebook page of The Chronicle of the Horse,. The photo was taken during a round at the Gulf Sunshine Classic V, where Brennan and Rio Bandit received an impressive score of 88, earning the reserve championship. While the round was beautiful and professionally judged accordingly, some of Facebook’s so-called equestrian “experts” were less than generous in their opinion of Brennan and his ability (read “judge my ride”). Brennan’s response to his critics was classic, and very classy. Thank you, Tom Brennan, for being so secure in your expertise that instead of shooting back, you took this opportunity to remind us all that riding is a joy, and the only judge qualified to critique our ride is the one we partner with over fences, and on the flat. This entry was posted in equine by thepiebald. Bookmark the permalink.